Mono is an open source implementation of .NET, formerly sponsored by Novell, and its future following Novell’s acquisition by Attachmate has been the subject of speculation. Today Mono leader Miguel de Icaza has revealed new plans. In a blog post, he announces Xamarin, a new company focused on Mono. This company will build new commercial .NET tools for Apple iOS and Google Android, to enable .NET development on those platforms. Note that they will not be called MonoTouch and MonoDroid, the Novell offerings for this, but will be “source compatible”. I am sure there are brand and intellectual property ownership issues here; but de Icaza is no stranger to negotiating tricky issues of this kind, bearing in mind Mono’s relationship with Microsoft .NET. However I am not sure why the new company cannot acquire the existing brands, since it seems that Attachmate will no longer be able to support them. We have been trying to spin Mono off from Novell for more than a year now. Everyone agreed that Mono would have a brighter future as an independent company, so a plan was prepared last year. To make a long story short, the plan to spin off was not executed. Instead on Monday May 2nd, the Canadian and American teams were laid off; Europe, Brazil and Japan followed a few days later. These layoffs included all the MonoTouch and MonoDroid engineers and other key Mono developers. Apparently Xamarin has “angel funding” but is looking for more. The advent of MonoTouch and MonoDroid has been good for Mono, since it gives the project a stronger business model than it had previously. These mobile platforms are hot, and the ability to code for them in C# is great for Microsoft Platform developers. This factor could enable Xamarin to succeed. On the other hand, Novell’s name gave Mono enterprise credibility as well as the backing of a large company, and these it now lacks. The curious thing is that Mono is valuable to Microsoft. The company seems at times to hate Mono, because it removes the need for Windows, and at other times to love it, because it extends the breadth of .NET to include Linux and now iOS and Android. 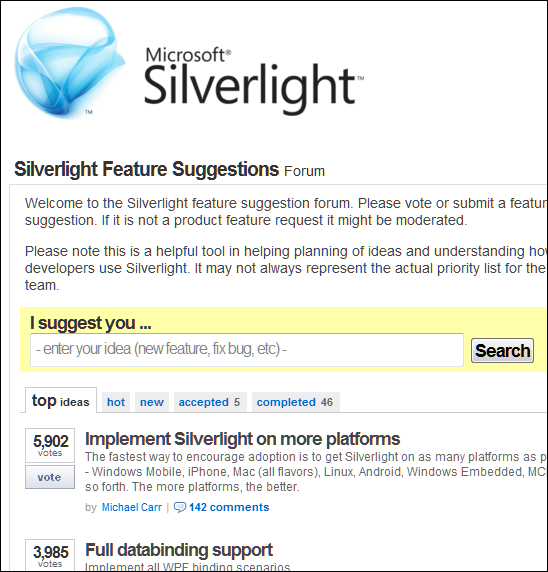 Microsoft gave some sort of official status to Moonlight, the Mono implementation of Silverlight, though the company’s support for Moonlight has always seemed hesitant. So can we expect now that the company which can afford $8.5 billion for Skype, could expend a few million in support of Xamarin? Or will it stand by and hope that Mono fades away? I have no idea, though I would like to see both Mono and Xamarin succeed. It is no threat to Microsoft, but does take .NET to places that Microsoft will never support. Without Mono, C# is merely a language for programming Windows. Looking at the comments, Android is a common request, and relatively easy for Microsoft to achieve given the open nature of that platform. This was apparently not part of the 70% though. Instead, Guthrie introduced more Windows-only features – showing that concerns about divergence between Windows and Mac implementations when Microsoft announced COM support at the 2009 PDC were justified. What if Microsoft had purchased Novell, or purchased Mono from Novell, instead of letting it go to Attachmate? It would have enabled Microsoft to unify the Windows and Linux implementations as well as building on the work the Mono team has done on compilation for iOS. 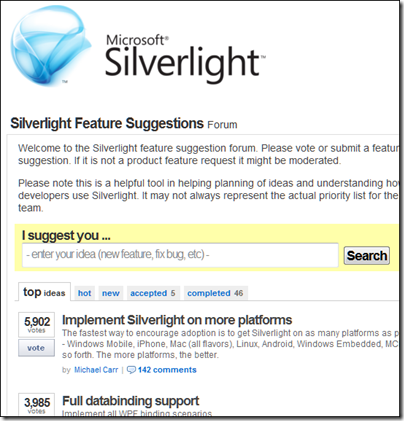 That dream is over though; the Silverlight application strategy seems focused on making it better for Windows-platform corporations.